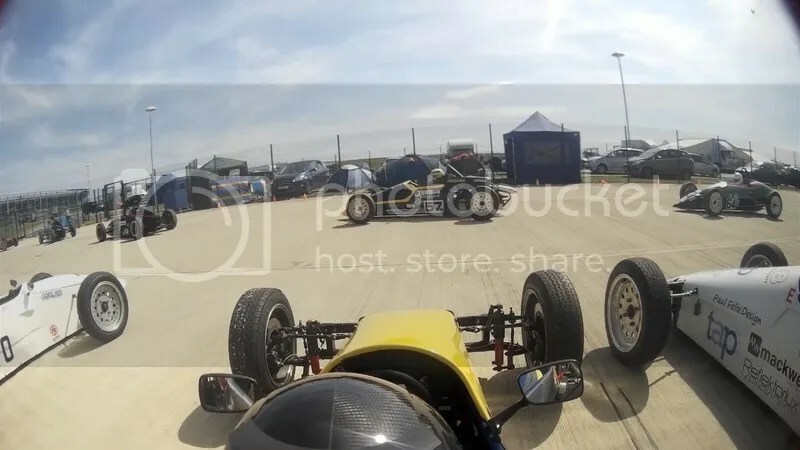 This was my first test on a ‘proper’ track that’s been used in the Formula Vee UK Championship in recent years, and so should have given me my first real benchmark in where my lap times would put me on the grid. As it turned out, it was ridiculously wet! As I signed on in the morning, we were all being sternly warned that the trucks had been there the day before, and so there was lots of rubber down, making it all extremely hazardous combined with monsoon conditions. 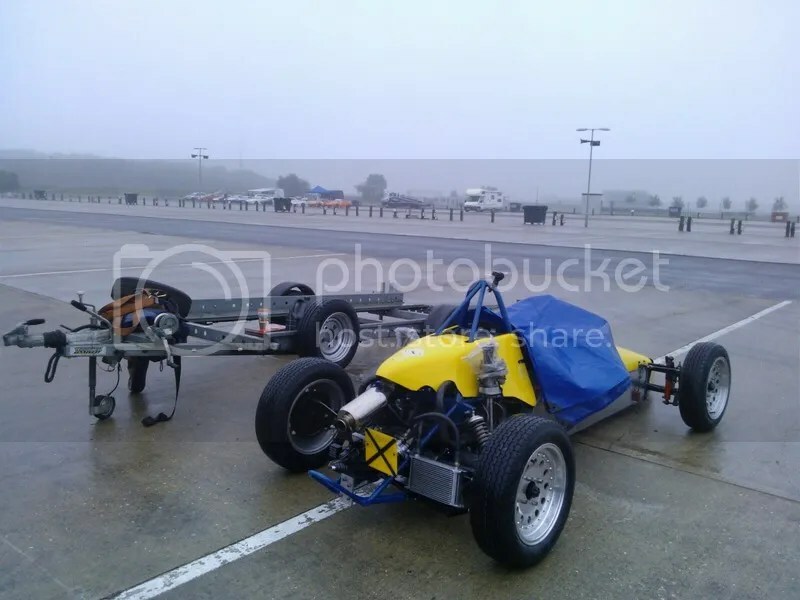 I did want to drive the Sheane in the wet so that I could test the limits of the car and push past the handling limits to see what happened. I certainly did that! I went out on track being very smooth and cautious. Glenn has adjusted the clutch so that it’s not all or nothing at the end of the pedal movement, and this gave me much more control to pull away. We were also using the brand new and shiny Hoosier tyres for the first time. There is a recommended run-in and settle cycle, but being so wet we never even got any heat into them, and so kept them on the car all day, rather than switch back to the Dunlops. I slammed down from 4th gear to 3rd as I came up to the hairpin, and the back end came around. Ah. Time to readjust the brain to how slippy it is, and carry on, then! It wasn’t quite like driving on ice, but it was the next best thing! 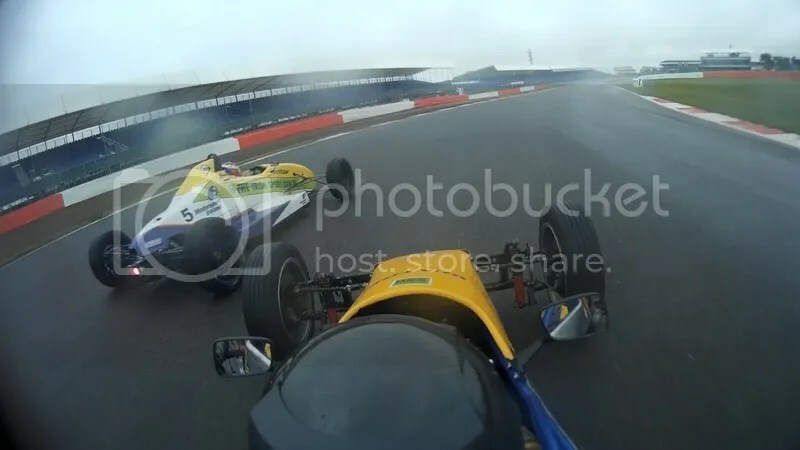 I had my first taste of severe understeer mid-way through the left-hander coming off the back straight, and the back end stepped out with even the slightest jab of the throttle anywhere. 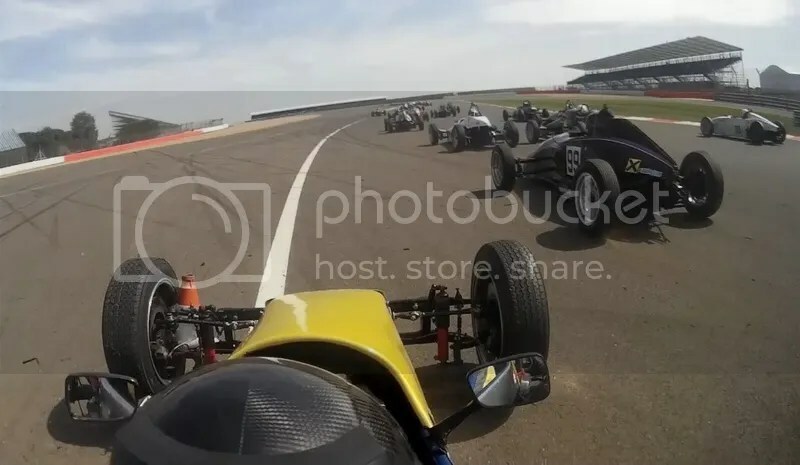 It was a bit disenchanting to see the MSA Formula cars and Formula Ford’s blasting past me, and my main mission became “Stay out of their way and don’t kill the car”. In that first session I had another spin around Copse, where I just couldn’t find any grip all day, and think I actually managed to take a decent line through there once! This time, the back went out and I caught it, corrected, and then it went again. The third spin of the session was powering through Woodcote in 4th gear, having not had a single problem any other lap. 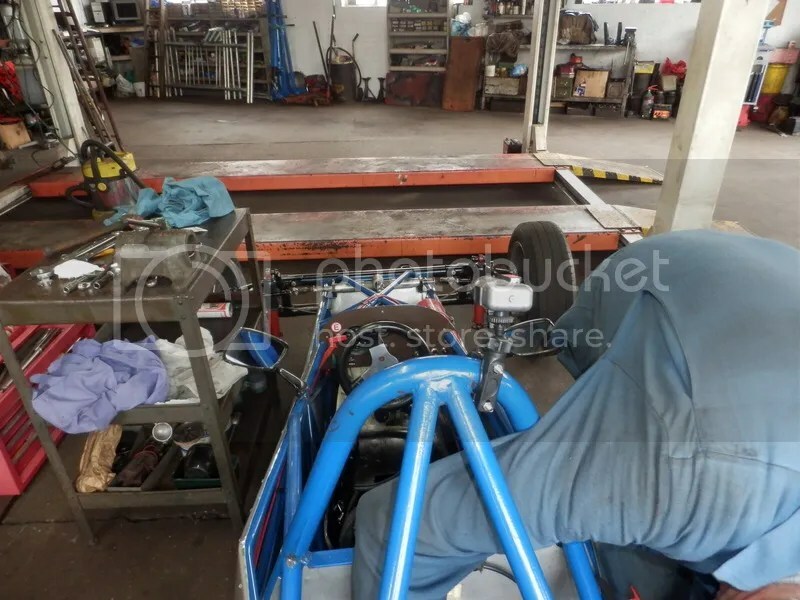 I thought about a Sheane that was written off there in 2010 when it spun and hit the pit wall, and just as I thought “As long as I don’t do THAT…” I lost the back again on the exit! As it spun a couple of times I made tiny steering inputs when I could feel the tyres bite a little, and came to rest facing the right way inches from the pit wall! 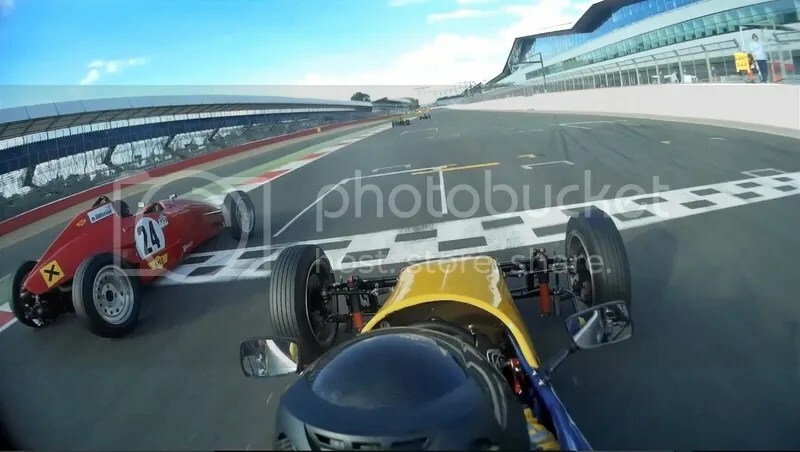 OR, as I prefer to tell it, I decided to have a go at practising my race starts, and flamboyantly spun it onto the grid, where my test start went extremely well! I decided to reign it all back in after that. 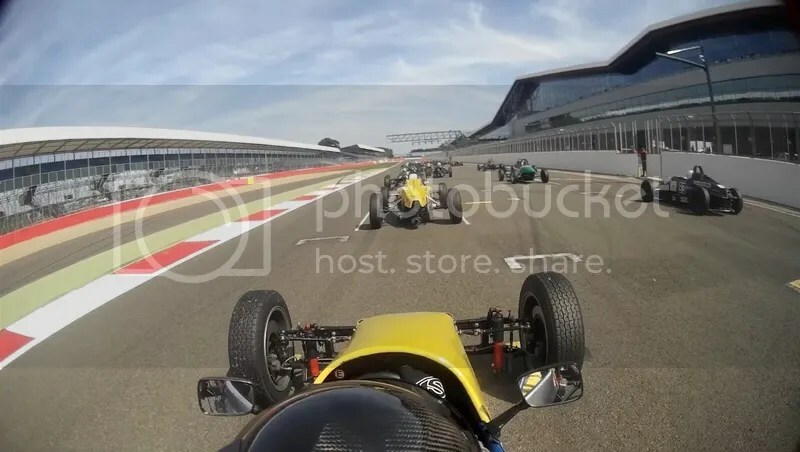 More than 3 spins in a session is bound to attract the attention of people holding black flags, and it was clear that I couldn’t find grip anywhere and wouldn’t be even attempting any lap times. We disconnected the front anti-roll bar for the next session, but I think it was just too wet for anything to make a difference. All that happened was it was even less happy about turning into Copse. When it finally stopped raining for 20 minutes before the last session, I went out only to find someone had driven the Exxon Valdez around three quarters of the track, as a 5ft wide slick of oil had taken ownership of the racing line! 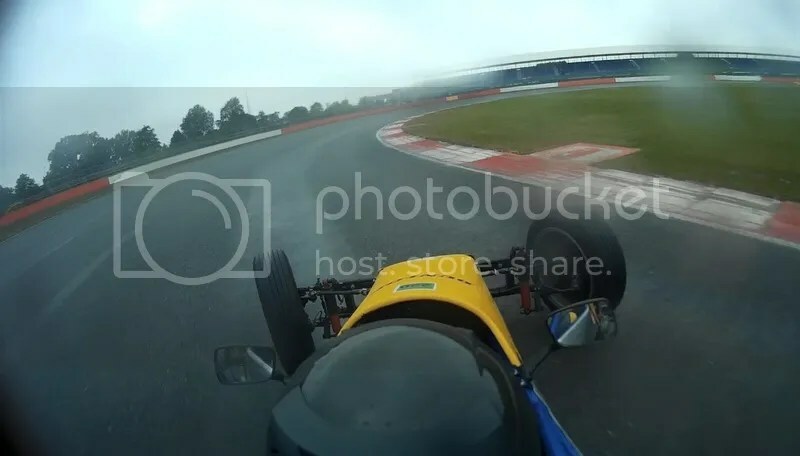 I actually really enjoyed that session, with a huge opposite lock drift around Luffield as I was watching a FF behind me just as sideways doing the same thing! 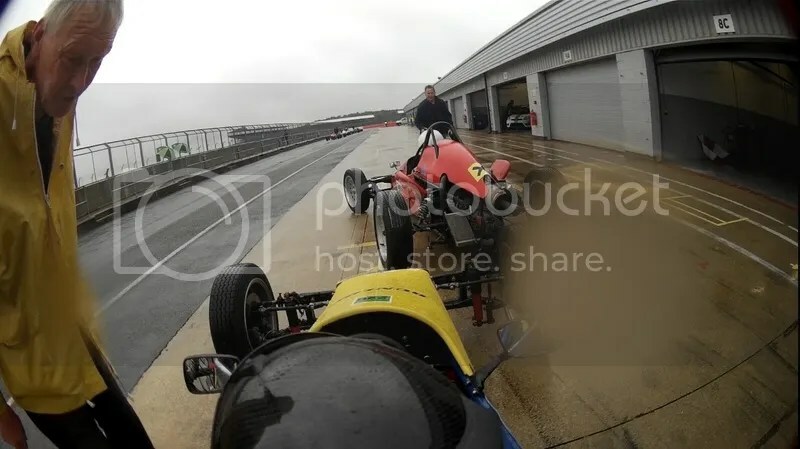 So, Formula Vee’s are pretty lethal in the wet. The Sheane was well balanced, and I did manage to recover most slides, and wasn’t just spinning helplessly everywhere. 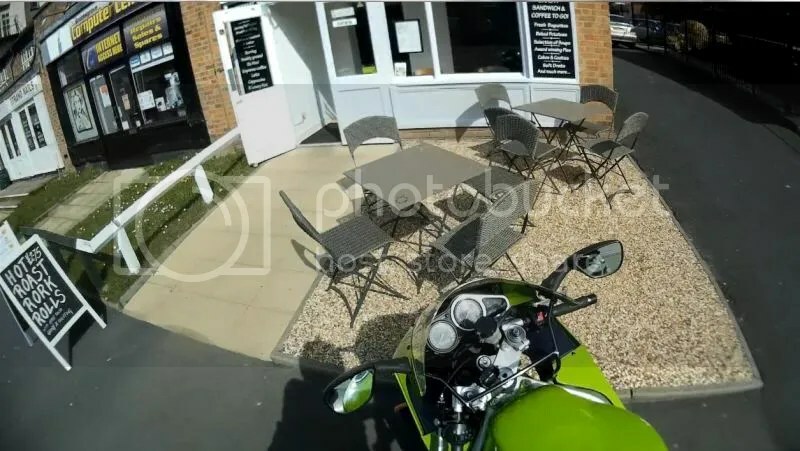 I was pleased to find my biking instincts meant that I kept my foot on the throttle whenever the back lost grip, rather then snapping the throttle shut on instinct and making everything worse. This will probably help me better in the dry than the wet, though… And, of course, it should be noted that everyone else was spinning off everywhere, with loads of flags and stoppages! The custom made waterproof case from JooVuu for my Mobius camera was flawless, and despite the rain I did get some good footage. 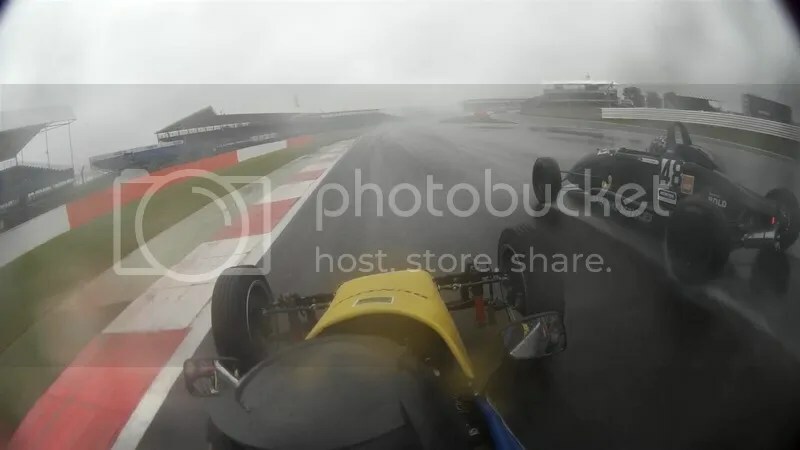 Here’s the full first session, warts and all – remember this is my first time ever on a wet track, and my second ever time lapping in the car! 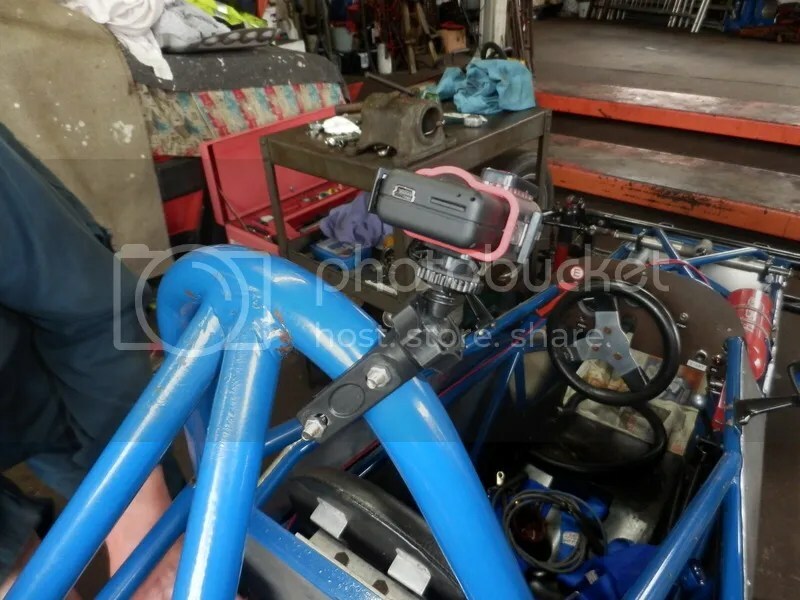 When I had the Donington test last year, my mounting bracket hadn’t turned up in time, and so I went with the easy option – I put a bit of foam underneath the camera (a Mobius Action Camera in JooVuu waterproof case) and duct taped that sucker to the roll hoop on the Sheane. Whilst this does work, and is very secure, it does come with a few problems. First, we found I’d taped over the LED that shows if the camera is switched on or running, so we had to guess whether it was working. It also means it’s hard to take the memory card out or charge the battery up. For this year I’m going to make use of the bar clamp mount from JooVuu. It’s not perfect because it’s a bit too small for the 32mm chassis tube – but as I came to find when testing things out, the tube isn’t exactly round everywhere, either, so that makes things a bit tough. The previous run with it taped on top of the roll hoop gave a good picture, but a lot of the screen was filled up by my behelmeted noggin. This is hard to get around, but with this proper mount it should raise the camera a good few centimeters up, which might make all the difference. The best camera view will show as much action as possible – both outside and inside the car. 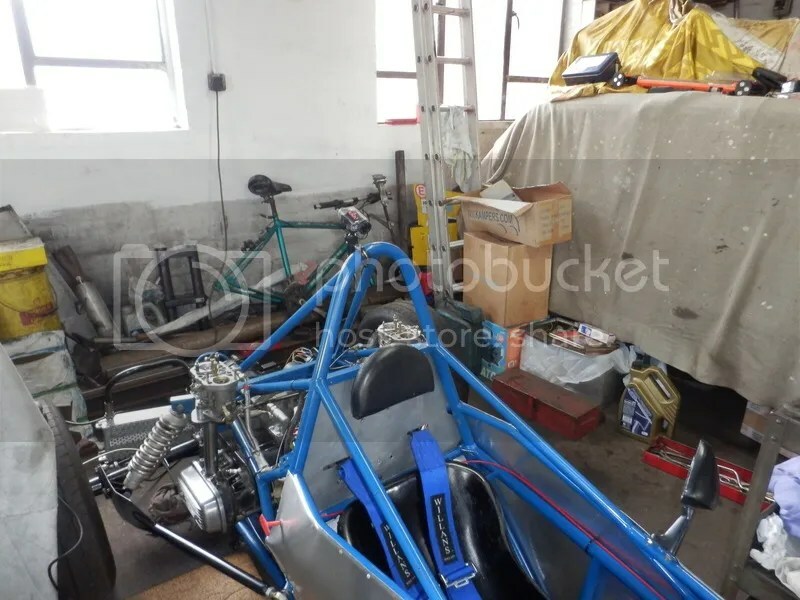 This means mounting it on the right hand side, so you (hopefully) get a view of the gearshift and the steering wheel, and maybe even the pedals. This is probably what I’ll go with at first, but it’s no problem to unbolt and move the camera around a little. As Glenn rightly pointed out, if I put the car upside down it could cause a problem for the camera with these mountings, but then I will be hoping not to do that, anyway! 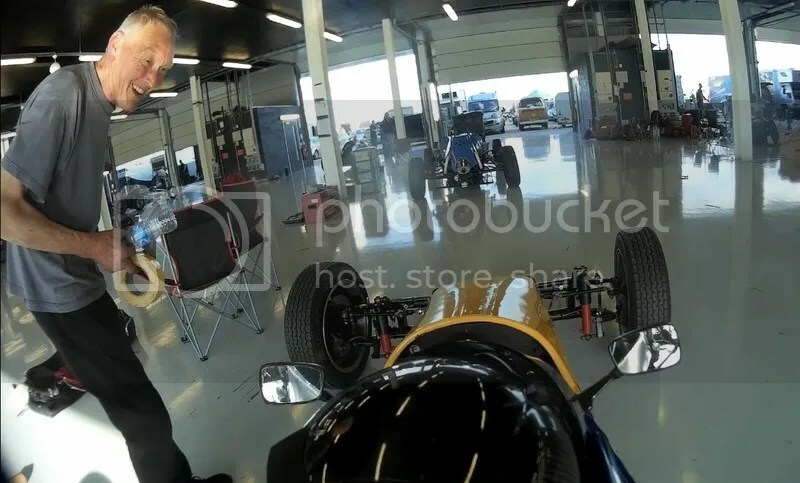 We also need to consider getting into and out of the car – in a single seater it’s an even that requires an almost Olympic level of strength and contortionism, without having to worry about knocking a camera. And we need to ensure there’s somewhere for them to put a tow rope if we end up getting towed off circuit again! 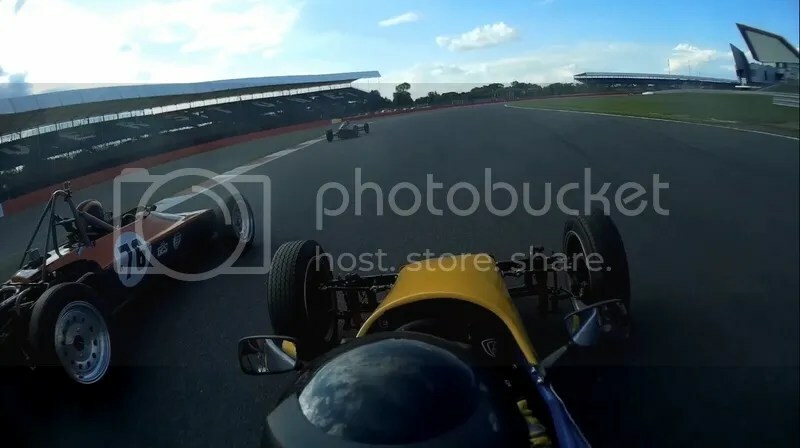 I will hopefully experiment with rear-facing cameras (providing there are going to be other cars behind me on the track! 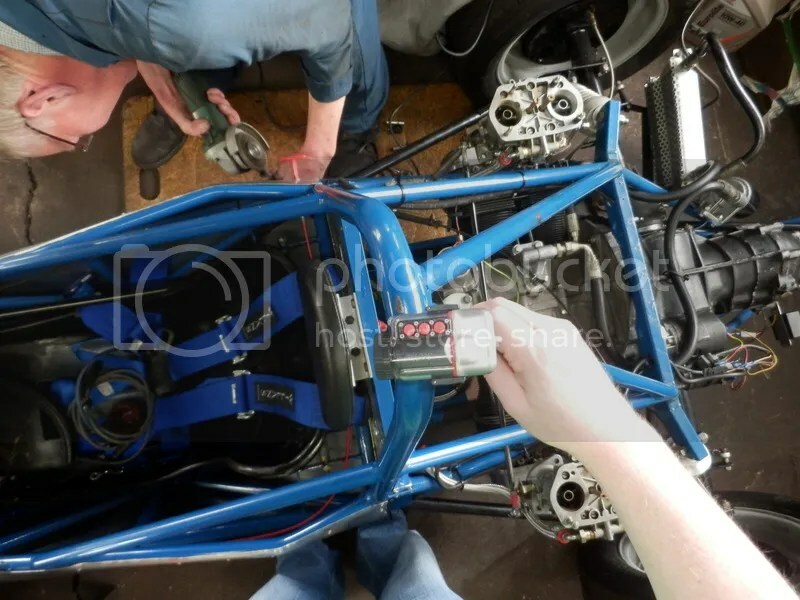 ), but that will need more thinking about with types of mount, heat from the engine, and vibrations from bodywork. 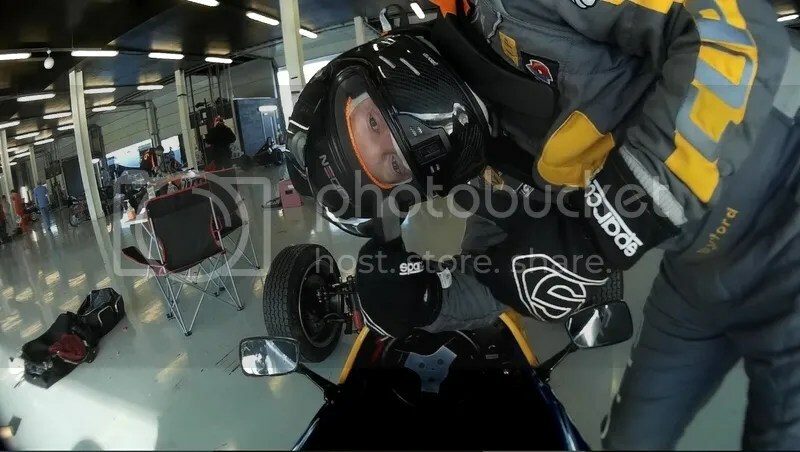 If the test day goes without drama, then I should have a bit of time to rethink what we’re doing with cameras, and make improvements where we can. 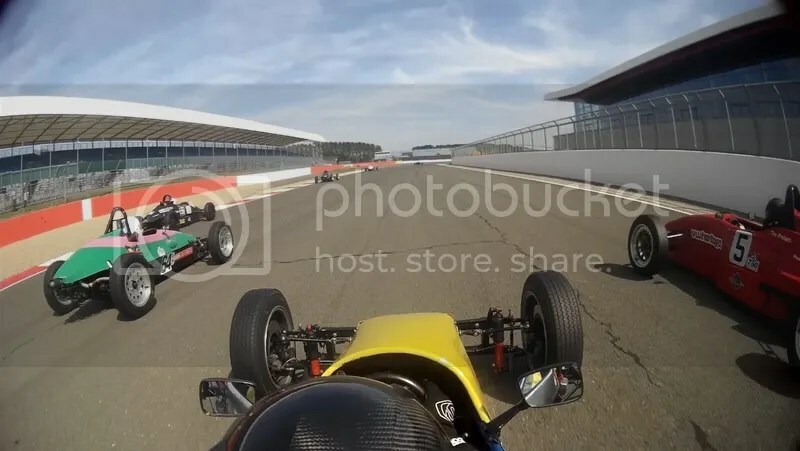 Thanks to some excellent support from JooVuu, I shall be using their Mobius Action Camera to capture onboard footage from Formula Vee races. 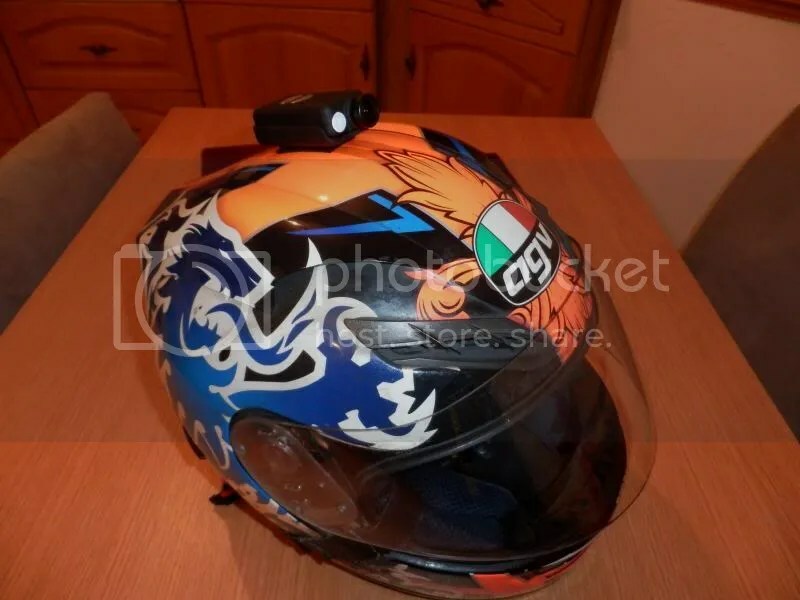 I’ve been using a Mobius camera on my motorbike helmet for over a year and found them to be much better than the likes of Go Pro. They are smaller, lighter and have a lower profile – so it’s less like having a brick stuck to the racing car! In terms of reliability, the Mobius has never once let me down, despite being used daily in sun and rain and from scorching Summer temperatures to way below freezing in the Winter. The only problem I had was the battery life went down from 80 minutes recording time to around 30 minutes. This would normally mean buying a new camera if you’re not adept at fiddly circuit board stuff, but in this case I just got a new battery from JooVuu (for around £5), opened up the camera, and it’s literally just a case of unplugging the old one and slotting the new battery in! Even better is that the latest batteries have improved to give over 2 hours recording time. And it’s this kind of constant improvement that puts these cameras above many costing hundreds of pounds more – firmware is updated for free by a downloadable program that also allows you to fine-tune more settings than you’ll ever need. It’s primary use was for radio controlled aircraft, so is small and light. This also makes it perfect for use on a racing car or motorcycle. JooVuu themselves designed and built a great quality waterproof case which I have put through some serious weather at high speed, and it’s been flawless. 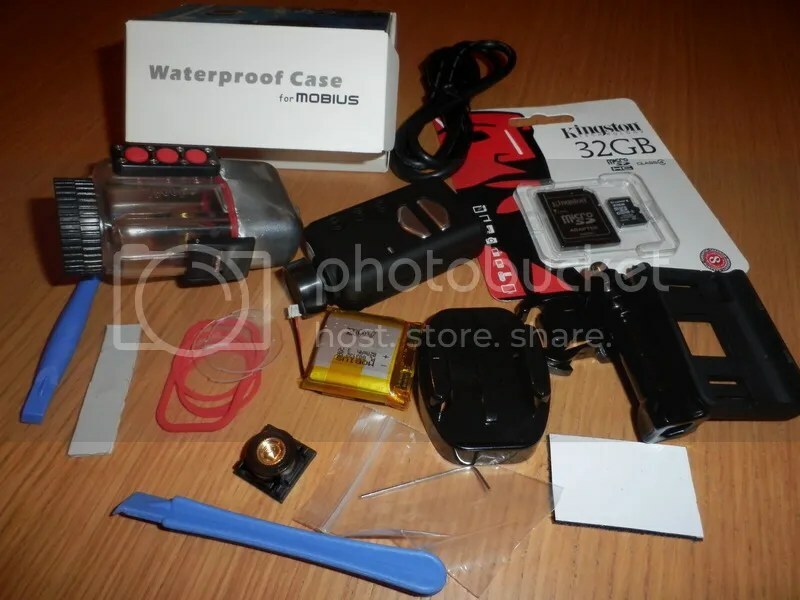 The waterproof case does deaden the sound a little – there is no way to use an external mic with the Mobius, and whilst sound is good as it is, wind noise can be a pain. I think for use on a single seater racing car, it will pay to use the case. 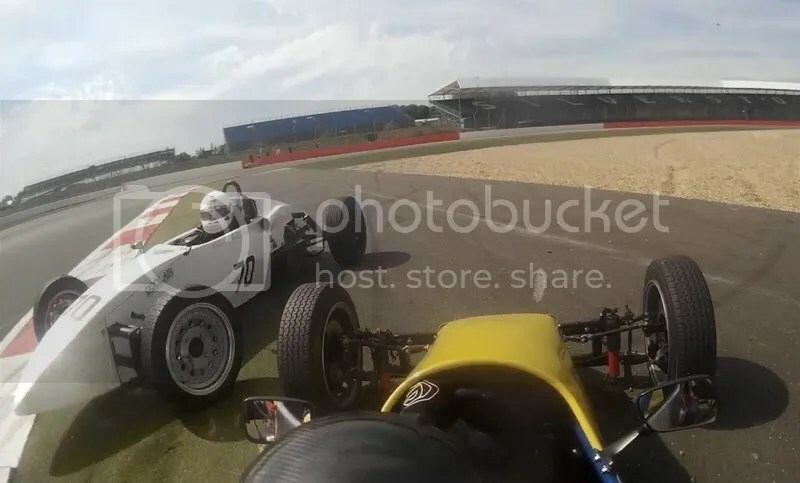 There’s too much oil and fluids flying about on a race track, and it will also offer some extra protection if I decide to get some close-ups of tyre barriers and gravel traps. There are as many different mounts around as you can imagine, and more are being released all the time – so you should be able to find something to suit your needs. I will be doing a separate blog exploring how and where I’m going to place my cameras on the car, so please check back for that, or give me any tips or recommendations that you have. And please mention my name if you decide to buy anything from them! I’m more than happy to shout their praises, or answer any other questions that you have myself. The Mobius Action Camera Wide Angle Version has a Field of View (FOV) of 131 degrees. 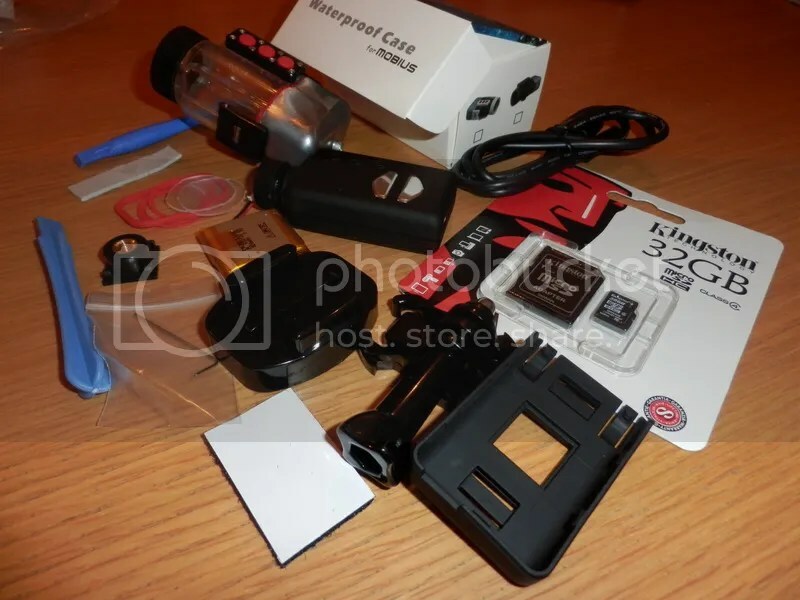 It’s ultra compact shape means it is small and shorter than a credit card and is is only 15mm high. Two user selectable video modes, toggled by the mode button after power up. Either mode can be set to record 1080p-30fps or 720p-60fps or 720p-30fps. Three movie quality settings (Super, Standard, and Low), which will vary the recording bit rates suitable for the user-selected frame size and frame rate. The Super setting with 1080p-30 fps video gives an approximate average total bit rate around 18,000 kbps. with a high level of detail and smoothess of motion. The Low setting with 720p-30 fps video gives approximately 5800 kbps at the low end. Lots of accessories: cars, bikes, and soon surfboards! Auto-record when power to the camera is applied (useful for car recorder use – no button presses needed). Loop recording (5 min. clips with one sec. video overlap, so no lost video).Pressing the mode button while in Loop Record mode means that the current file cannot be overwritten and in turn protects it from accidental deletion or overwriting. However, it can be manually deleted. Movie flip (180 deg. rotation). Movie sound (off plus three volume levels). Photo capture mode with frame sizes of 2048×1536, 1920×1080, or 1280×720 (all native pixel sizes – no up conversion). Time lapse photos with delays between images. The targeted delay times range from 0.25 to 60 sec. The video format is .MOV with H.264 compression codec. 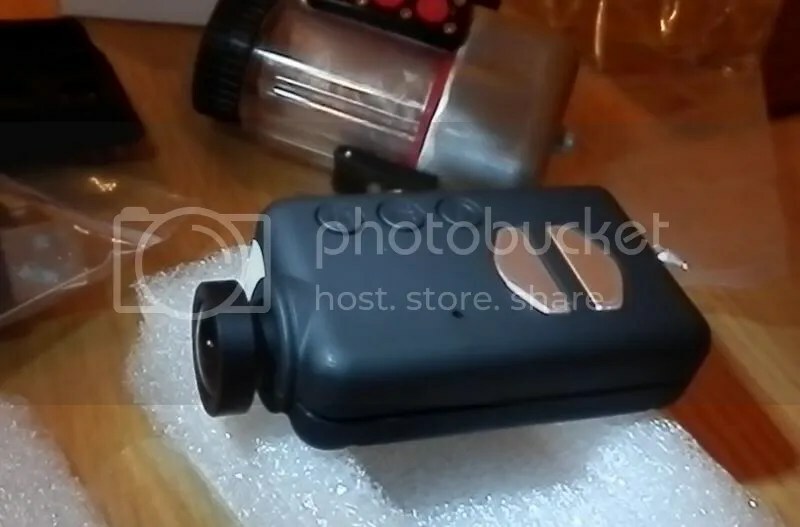 Furthermore, this camera can record sequential clips with a one sec. overlap, so there is no lost video and no need for an AVI firmware like the #16 to get that benefit. Four video recording cycle time settings 5, 10, and 15 min. plus “Max”, all of which stop/save/continue. The Max setting will record until the 4GB files size limit is reached, the card runs out of space, or the battery power is removed. The actual Max recording time will vary dramatically accord to the user’s settings for frame size, frame rate, and movie quality. The 4GB file limit can be reached in less than 30 min. with 1080p High quality video. Charging on/off toggle when plugged into a USB data port (useful for some external USB devices). TV out (PAL or NTSC), which will include a playback mode. TV display ratio (4:3 or 16:9). GUI program support for setting the parameters will be available.